So I know that I am not the authority on cool music. 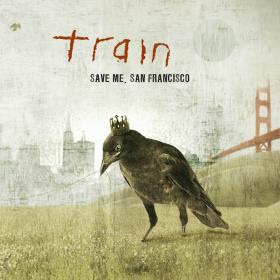 (I love New Kids on the Block, George Michael, Huey Lewis and the News....) but one band I truly love, and think doesn't fall into my "lame" category (as categorized by Tony) is Train. I have all of their albums, and I especially love that they're Bay Area guys. Their newest album, Save Me San Fransico is my favorite. I'm obsessed. It is constantly playing when I'm making jewelry, and it's on in the car way too much. (When they performed "Hey Soul Sister" on Ellen today Leila sang along to the entire song.) Speaking of Leila - her favorite song on the album is "Save me San Francisco" My favorites are "Marry Me" - I wish it was around when Tony and I got married; the words are so beautiful, and "Half Moon Bay" (which I can't find a video for...) and Leila's favorite. The album is only $7.99 on iTunes - it's great, and I hope you love it!